The questions started rolling in this spring. How’s training going? Are you going for 2019 World Championships? What’s the plan for next winter? When you’re Caitlin and Brian Gregg, Olympians and local superstars in the Midwest, it’s hard to keep your athletic profile on the DL. Since buying a house on Theodore Wirth Park seven years ago, the couple has immersed themselves the greater Minneapolis community — both in and out of skiing. They’ve raced, coached and worked out alongside skiers of all levels. 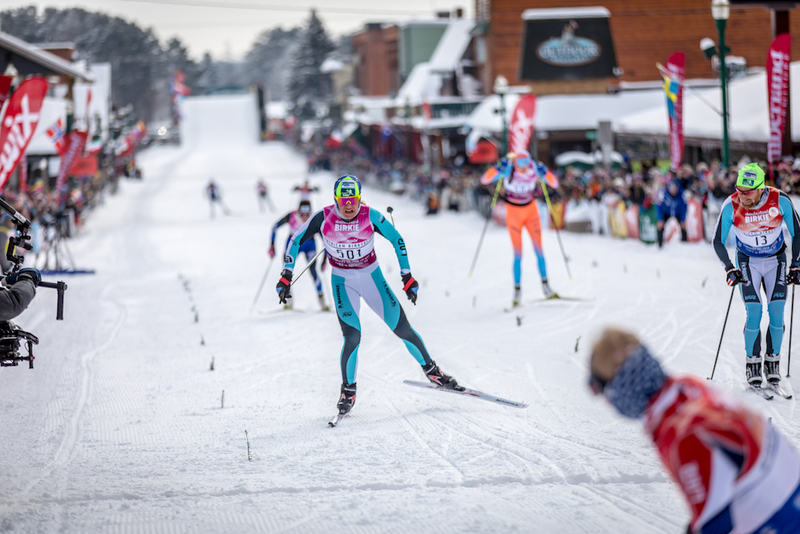 They’ve bolstered the Loppet Foundation and its Loppet Nordic Racing program while chasing their own athletic dreams. And for the most part, they’ve achieved everything they set out for. But not making the Olympics last winter was a blow for both Caitlin and Brian. They had both been on the edge — the infamous bubble — but didn’t make the 20-person cut for PyeongChang. And by Brian’s calculations, at least one of them should have. Despite feeling that he and Packer ranked high enough on the U.S. Ski Team’s 2018 Olympic points list to make the cut, Brian wasn’t bitter. And he’s still planning to race this winter. But life for the Greggs is different this year. For one, Brian has been working full time in financial services and taking night classes to become a certified financial planner. In a major step toward that, he passed the six-hour Series 7 exam two weeks ago. That has meant less training, which he didn’t necessarily see as a detriment. In various running races this spring, summer and fall, Brian won the City Trails Loppet (a 10-mile urban trail run in St. Paul Park, Minnesota), finishing just ahead of his good friend Matt Liebsch, then ran a 1:12:43-hour road half marathon (Grandma’s Marathon) in June in Duluth, Minnesota, won the Loppet Foundation’s Trail Loppet half marathon (in 1:20:34) on Sept. 21, and placed seventh in the Birkie Trail Run Festival’s half marathon (1:24:00) on Sept. 28. “Now that I’m training a little less on the days where I don’t get out to do a workout, one of my big inspirations is my friend, Matt Liebsch,” Brian said on the phone in late August. “Seeing him not make the [Olympic] team in 2014, that was disappointing, but seeing how much fun he has in the sport, and we still train together four some-odd days a week. … Not all of our times are getting slower; you keep chipping away and pushing yourself. While the two halves of Team Gregg are used to supporting each other at North American ski races — including an annual assortment of SuperTours and U.S. nationals — Caitlin has been doing more coaching and sideline cheering so far this year. While she had originally planned to keep her pregnancy a secret early on, Caitlin said that it became tough to dodge the training questions. 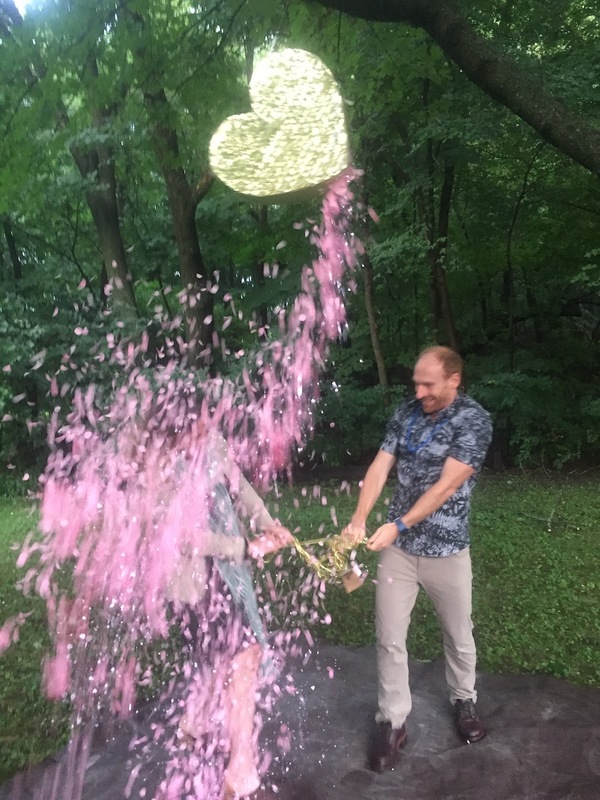 On Aug. 10, they posted an “expansion of Team Gregg” baby announcement on their Facebook page. During their Aug. 22 interview with FasterSkier, Caitlin was 16 weeks pregnant. And as of this week, now 22 weeks along, she’s past the halfway point. 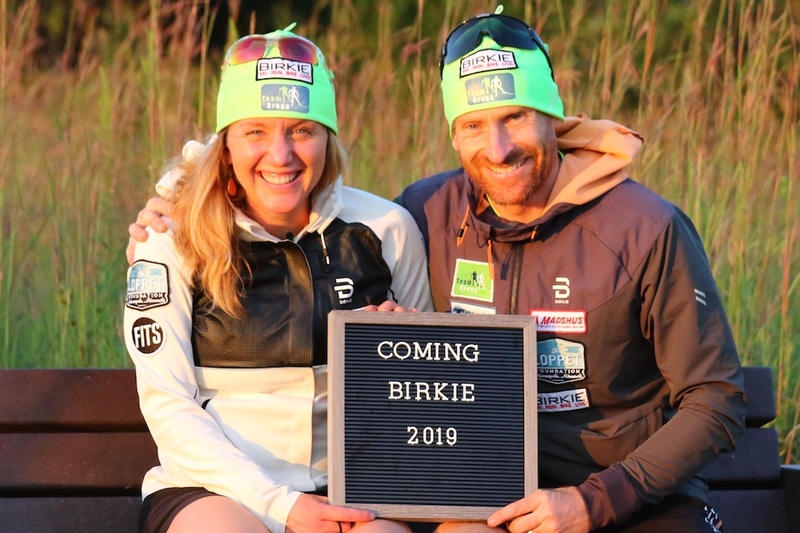 They’re expecting their first child — a girl — on Feb. 9, exactly two weeks before the 2019 American Birkebeiner (a ski marathon Caitlin has won a record-setting five times). “I told her she has two weeks to get ready and in shape,” Brian jested. “I was like, ‘Uh, yeah,’ ” Caitlin replied. The gender-reveal party (with a piñata filled with pink candy), a baby shower her high-school athletes threw her (with diapers filled with melted chocolate bars), it was all new to Caitlin. So was the news of a blood clot in her leg in early July. During their six-hour drive home from Thunder Bay, Ontario, where Brian had competed in Canada Day rollerski races while Caitlin cheered him on, Caitlin started feeling pain in her left calf. It worsened and she went to see her doctor, which revealed she had two blood clots in her calf. She was immediately put on blood thinners and instructed not to bike, rollerski or do anything with a heightened risk of falling. She immediately remembered Kikkan Randall’s blood clot scare in 2008 and decided to call her former U.S. teammate, a 2018 Olympic gold medalist. “She took a good 45 minutes and just talked to me and told me about her scenario and how it was for her and what she had to go through and all of the kind of different aspects of blood clots and the pregnancy and how everything turned out great, so that was super reassuring,” Caitlin said. While their experiences were different (Randall had two surgeries to remove a recurring blood clot in her leg well before she became pregnant in 2015), Caitlin was comforted by their conversation. Two days after they spoke, Randall announced her breast-cancer diagnosis on July 11 on social media. She had never mentioned it to Caitlin. For the duration of her pregnancy, Caitlin will take two shots of blood thinners each day. In addition to her exercise limitations, she’s also been advised not to fly or take long road trips for the time being. In June, Caitlin, about six weeks pregnant, ran the same Grandma’s half marathon as Brian, finishing 19 minutes behind him in 1:31:38. 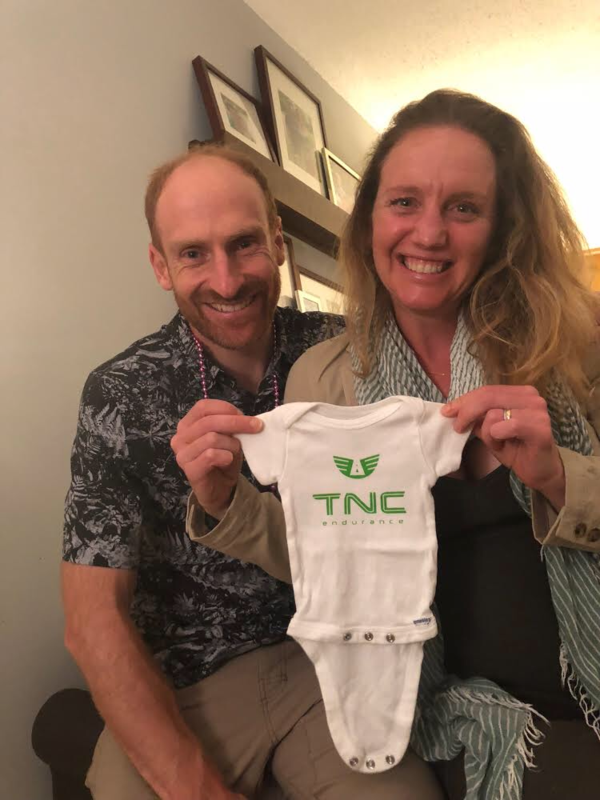 In an effort to qualify for the 2019 New York City Marathon, the two had registered for the 13.1-mile road race before discovering that Caitlin was pregnant. Caitlin decided to run in what she called “Level 3” while being mindful of her heart rate and feeds during the race. She said she felt “awesome,” and their finishing times did the trick, qualifying them for next year’s NYC Marathon. Since then, she’s scaled back the racing, instead entering running races with a goal of “jogging/ walking/ pole hiking them”. Meanwhile, Brian has been getting out for workouts whenever he has time and plans to race at least the first period of the SuperTour circuit this coming season. In an effort to qualify for his first World Championships, he is focusing on strong performances in the 15-kilometer freestyle at the Sovereign Lake SuperTour/NorAm in December in British Columbia, and the U.S. nationals distance races in early January in Craftsbury, Vermont. “My training volume is hugely reduced this year, but I have been hitting all of my intensity sessions,” Brian wrote in an email. “My primary focus is on preparing to support my family and my baby girl, but my passion for ski training and racing will never go away. While Caitlin won’t likely be able to travel to Canada and New England to support Brian at those races, she expects to stay busy at home while working with sponsors, like Madshus, as well as the Loppet Foundation. 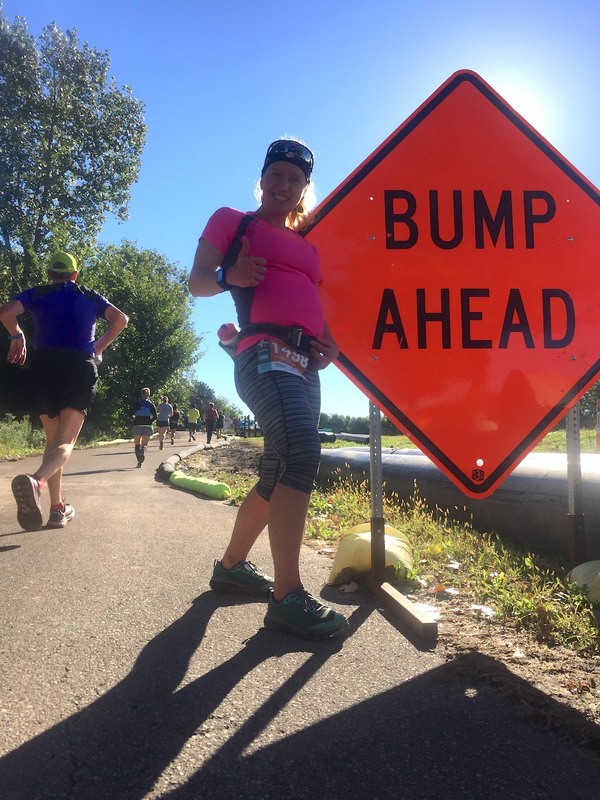 In addition to coaching 12 college skiers this summer, Caitlin was hired as the Loppet Foundation’s director of adult programming. She’s also an assistant coach with the foundation’s year-round Trail Kids program. “We’re both staying super busy, which I think is exhausting in a lot of ways, but it’s also really fun because it brings a lot of balance,” she said. The two are also adjusting to spending less time together. While they didn’t necessarily work out alongside each other, the Greggs frequently start and finish at the same place, which Caitlin described as “trailheading”. During a summer hike on the Birkie Trail, Brian wore a backpack with a watermelon inside. Caitlin guessed it weighed 40 pounds. “It wasn’t that big of a watermelon,” Brian quipped. But when they’re not exercising, they’re working — which has become more full time for both of them. “We went from spending 24 hours a day together, 360 days a year or whatever — there was maybe a couple days or weeks where one of us would be somewhere else. Now Brian’s at the office all day or I’m out coaching,” Caitlin said. “I feel like I haven’t seen her for weeks,” Brian added. Yet they’re still having fun, and they’re still loving their ski-driven lives in the Twin Cities. Late last month, news broke that Minneapolis will host a 2020 World Cup race at Theodore Wirth Park, right outside their door. 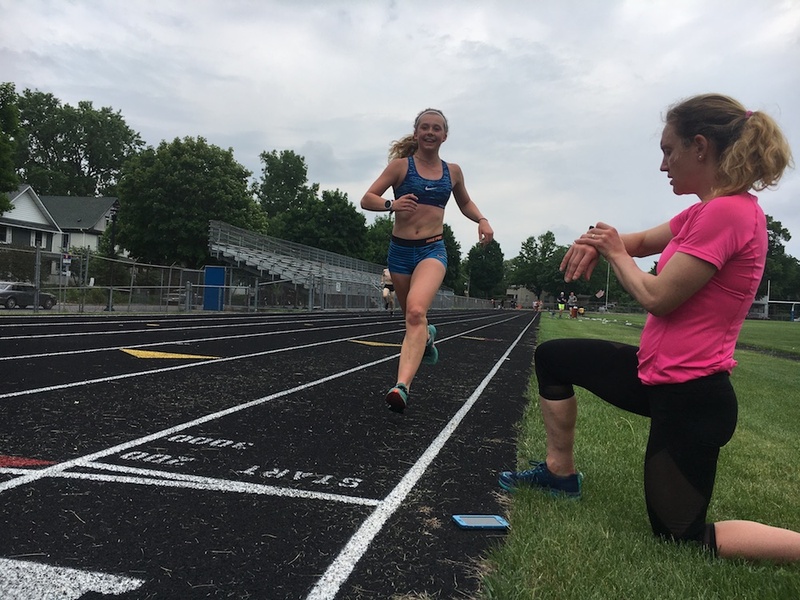 “Caitlin moved to North Minneapolis 10 years ago and the bulk of her training leading up to the 2010 Olympics and her 2015 World Championship medal were on the trails at Wirth,” Brian explained, referring to Caitlin’s bronze medal in the 10 k freestyle at 2015 World Championships. “I won my first Super Tour at Wirth and we strategically purchased our house 7 years ago next to Wirth because of the great training opportunities. As of last month, the Greggs are living debt-free in their home. They literally jogged to the bank before work one morning to sign the final paperwork. In another “Team Gregg style” exercise session, they ran three miles for ice cream, then ran home. They’ve been known to run to farmer’s markets as well. Brian vouched for Caitlin’s “intense food cravings” in the first trimester, like the ramen noodles she wanted for breakfast one morning. “I don’t think I’ve ever seen her have a bowl of ramen in her life,” he said. “A couple days later I was like, ‘Please take it out of the house, I can’t look at it,’ ” Caitlin said with a laugh. While life is busy as usual for the Greggs, they’ve both welcomed the transition from “full-time athlete status” to additional work and soon-to-be parenting responsibilities. “I’m excited the ski trail comes by the office so I’ll be able ski to work on a good snow day,” Brian said. Asked what’s kept them in the sport this long, both were quick to answer. They absolutely love it.